The next village north is Givry, best known – and deservedly so – for its reds. A decade or more ago the whites were linear and charmless. Today they are a lot better, and in the best cases at least the equal of those of Mercurey, if not as delicious as those of Rully. But the reds, with an earthy yet round character and medium body, show a seductive fruit which matures after three or four years. The appellation extends over the neighbouring villages of Poncey and Jambles, but the best wines come from an extensive slope above the village. Of the 25 premiers crus, look out for Servoisine, and even better the Clos Jus, whose wines which remind me a little of Chambolle-Musigny. 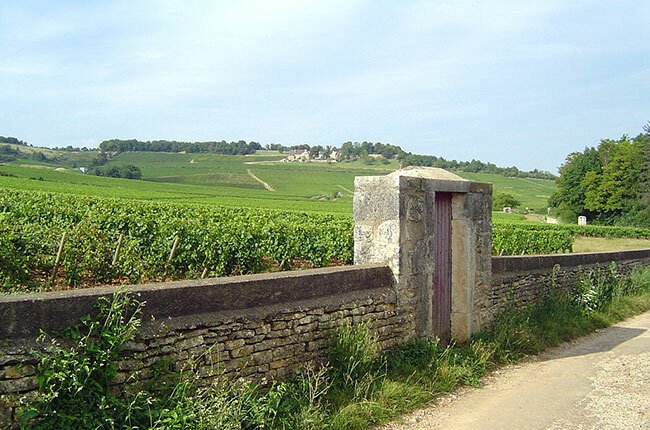 In total the appellation measures 269ha, of which 120ha is premier cru. Quite rich and oaky, but the latter is not exaggerated, allowing vigorous, succulent fruit to sing out. Lovely. It would be a pity to open this too early. Ripe, substantial, and a very high class wine. Splendid quality. The new oak (70%) does not dominate at all. Splendidly rich nose. Good depth and substance. Summer pudding flavours. Very good grip. Fine. Splendid ripe, rich fruit. Lots of vigour. Long, pure and multi-dimensional. Fine.